The LIFEPAC 2nd Grade History & Geography Set gives students a biblical introduction to the history of the United States of America. Ten engaging worktexts present lessons on the trail of the Native Americans, the different branches of the government, westward expansion, and America’s pioneers. The course also includes a comprehensive study of maps. 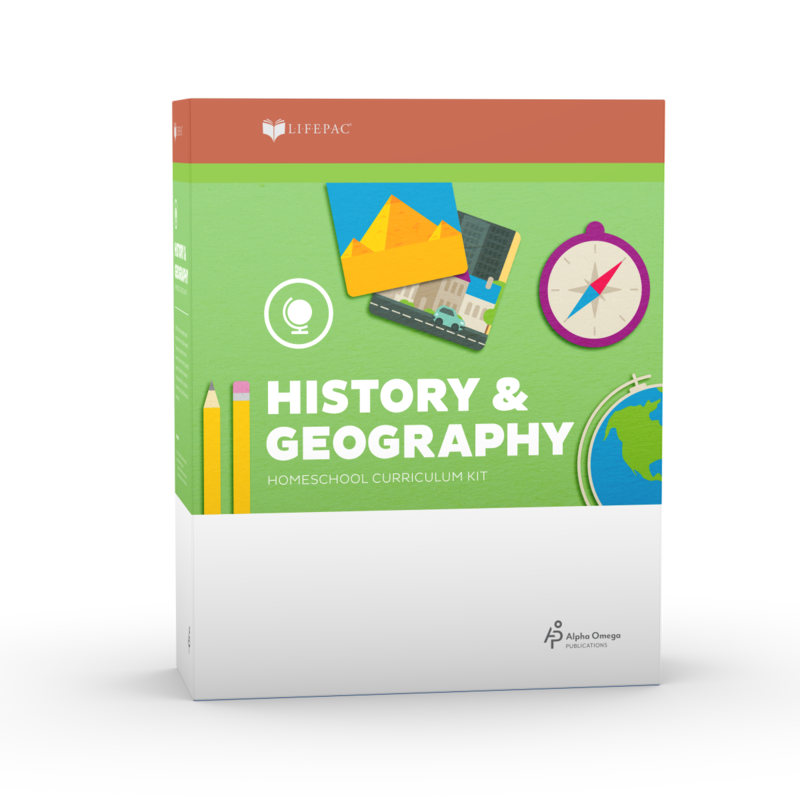 Learn U.S. history from a Christian perspective with the LIFEPAC 2nd Grade History & Geography Set! Ten engaging worktexts present lessons on the trail of the Native Americans, the different branches of the government, westward expansion, and America’s pioneers. The course also includes a comprehensive study of maps. The LIFEPAC 2nd Grade History & Geography Set provides the opportunity for a unique individualized learning approach for your child. Since each self-paced worktext can be completed in as little as three to four weeks, students experience a sense of accomplishment at the completion of each one! In addition, regular self tests and an end-of-unit test provide ample opportunity for assessment of student progress. An essential teacher's guide is included to provide important teaching supplements, such as instructional notes, answer keys, and additional resources and activities.